The award-winning bartender puts together a veritable treasure map of personal picks for the best food and drink in Vancouver. The Dishes is a new Scout column that asks Vancouverites to walk us through a map of their ideal day and night on the town. We’re talking breakfast, lunch, happy hour, dinner and late night cocktails. Tax and tip included. 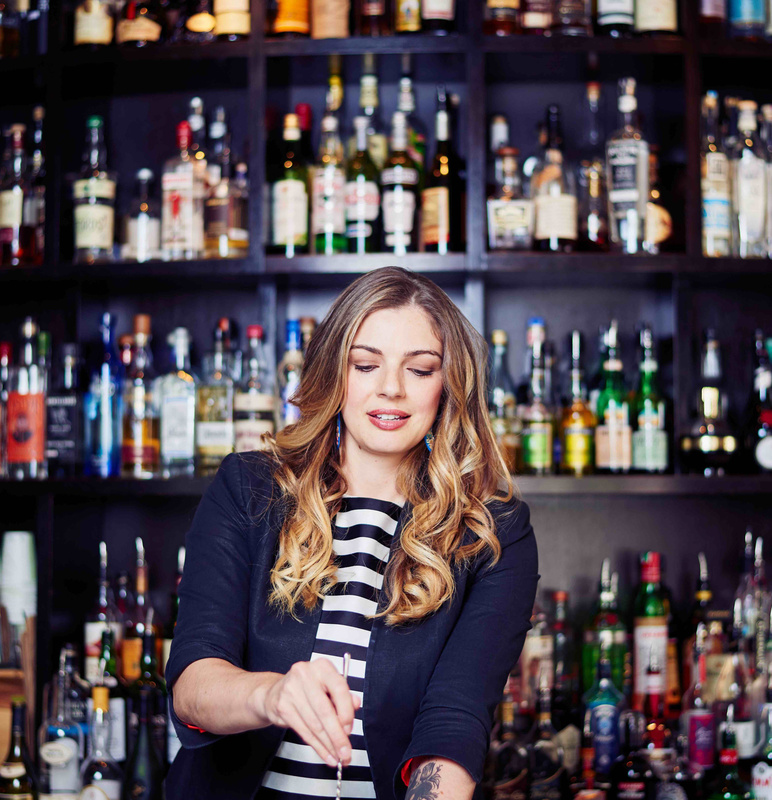 For this edition we asked Diageo Reserve & World Class Global Cocktailian and Bittered Sling Bitters co-proprietor Lauren Mote to share her favourite spots to eat and drink around town. I am a die-hard lover of The Birds & The Beets – not just for the amazing brew, but we run into everyone there, and the owners are super sweet. You’re getting a glimpse into my severely coordinated daily routine (after all, I am on the road 90% of the time now, so I really appreciate the little things). L’Abattoir has always had a stellar happy hour program, and let’s be honest, I like to glam and glitz at 5pm anyway. With that said, I am a sucker for hotel bars, too, and love to spend time (anytime) and pretend it’s happy hour. I love to see the crew at Fairmont Pacific Rim – Grant, Sean, Chris, Todd, Mike, Kent and now Zoe, Roland and Jeff upstairs at Botanist. Just take my money – love you guys! Vij’s for all of the spicy, vegetable business and Jay/Andy/Olivia’s cocktails; St. Lawrence for all the handsome French treats – JC Poirier is my brother from another mother after all, and we’ve been super close friends since 2008; Maenam for the most delicious balance of sweet, salty, acidic, and umami – unless you’re eating local, “grandmother” food in Bangkok (legit), no one does it better than Angus; and lastly Bao Bei – because who doesn’t get so happy about one of the great, quintessential restaurants that really captures Vancouver’s cuisine identity? Tofu skins are the things MY dreams are made of. We don’t really have a sweet tooth per se when we’re out, but I’m happy to eat dusty, buttery cookies and crackers in the dark by myself (I’m sure I’ll have to get some professional help for that…..) BUT when there are people around, holy moly just call Jonah and Andrew Benton (Benton Bros. Cheese) so they can tell me what cheeses to put on those dusty crackers and cookies. I have been known to make secret requests to Eleanor Chow (of Cadeaux Bakery) for random cakes though…. feels so good to come clean, and be honest. Lastly, the highly addictive Salted Chocolate Chip cookies at Harvest Foods on Union. I would take our crew out for drinks – we don’t get enough facetime with our buddies OR with Vancouver these days. Depending on the mood of the group, Alibi Room, UVA, Keefer Bar, Royal Dinette – the list is long and life is short, so spend it drinking what you love, with the people who complete you.